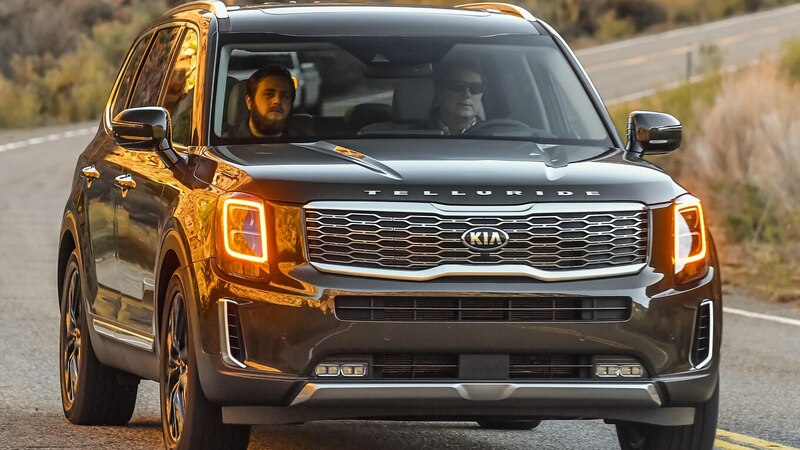 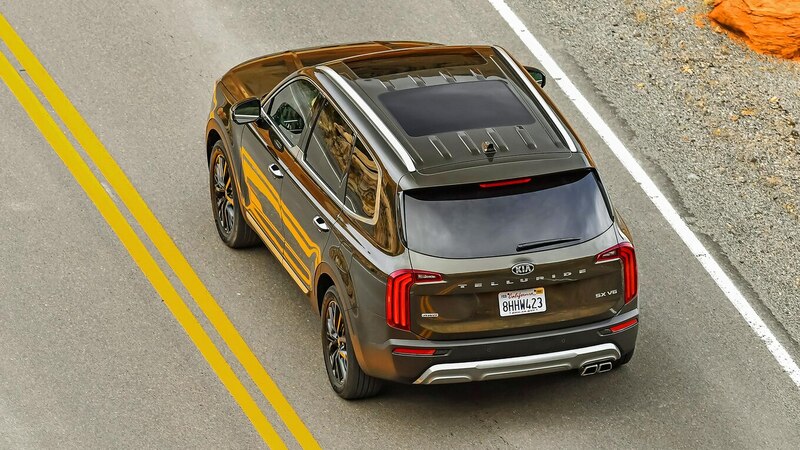 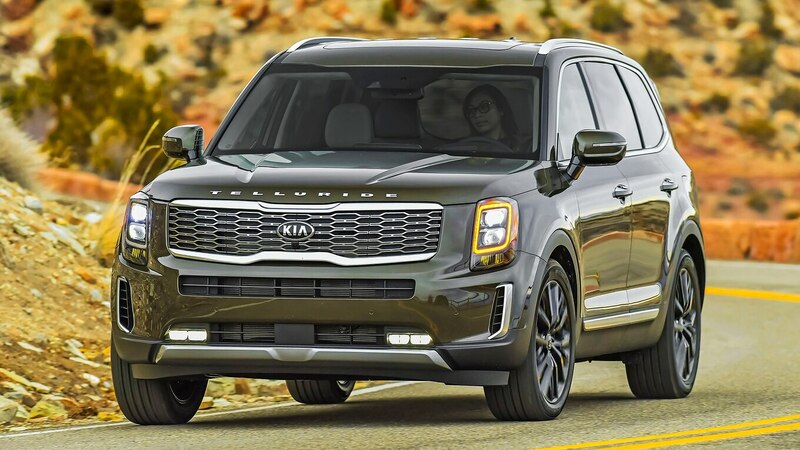 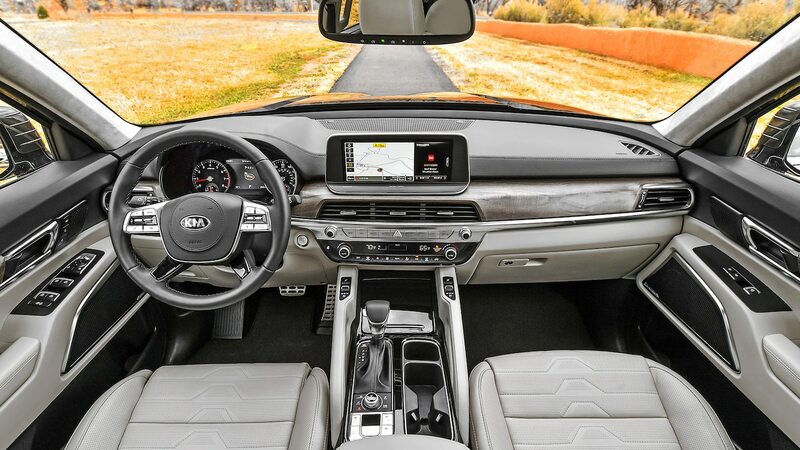 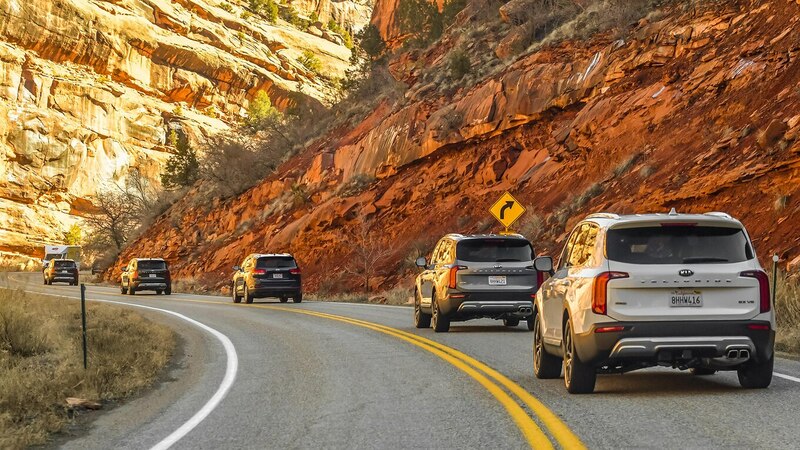 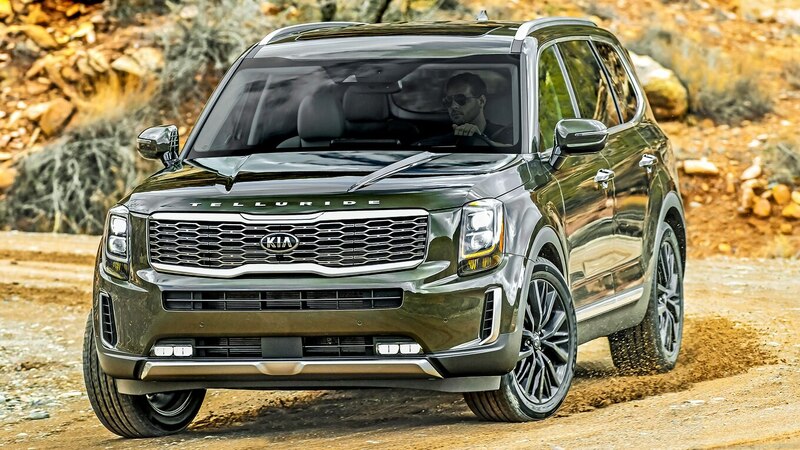 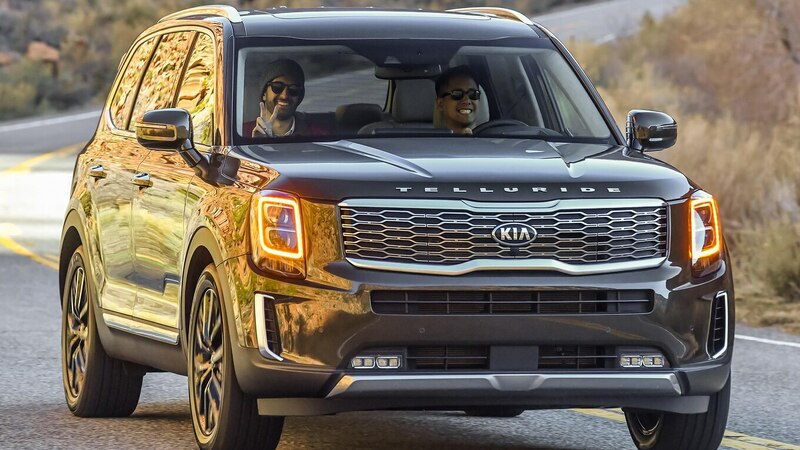 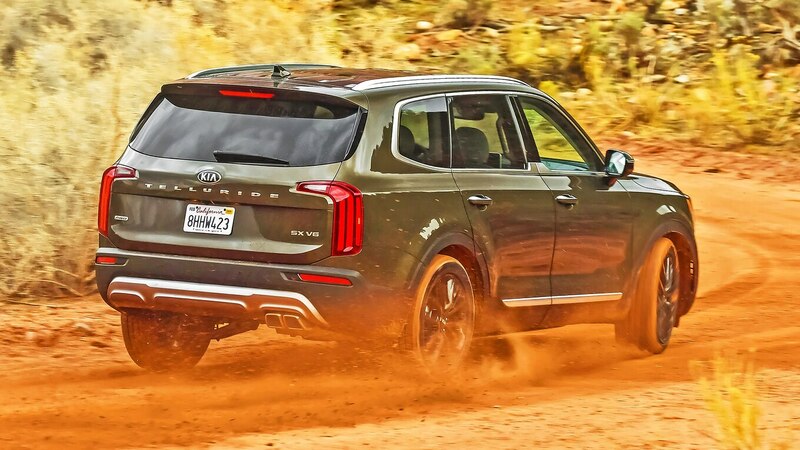 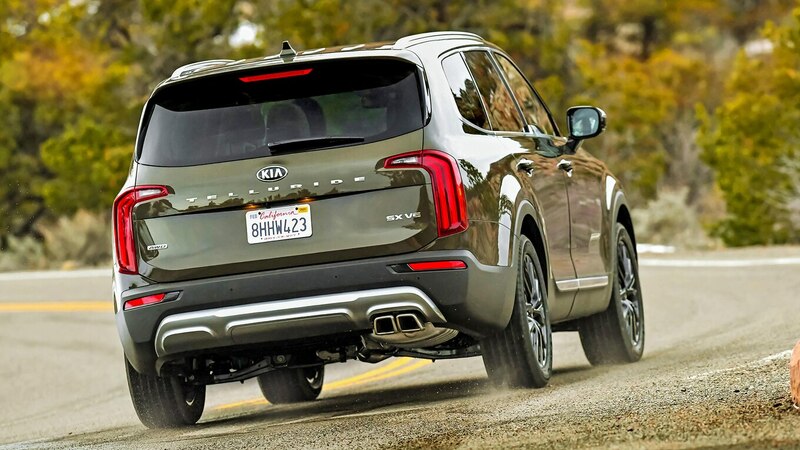 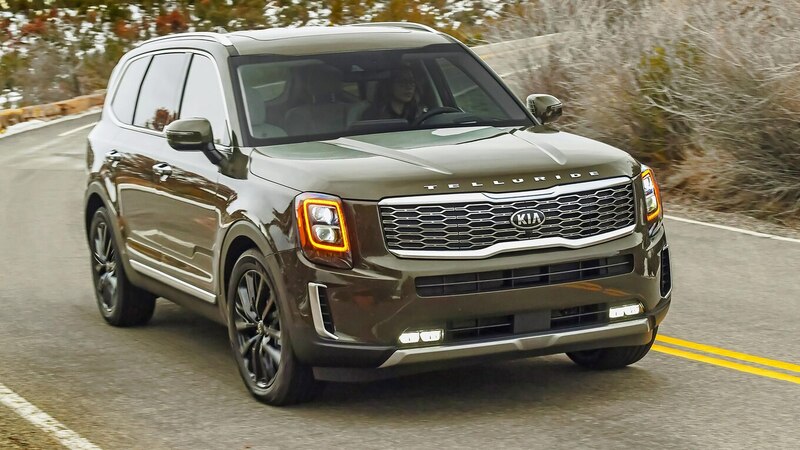 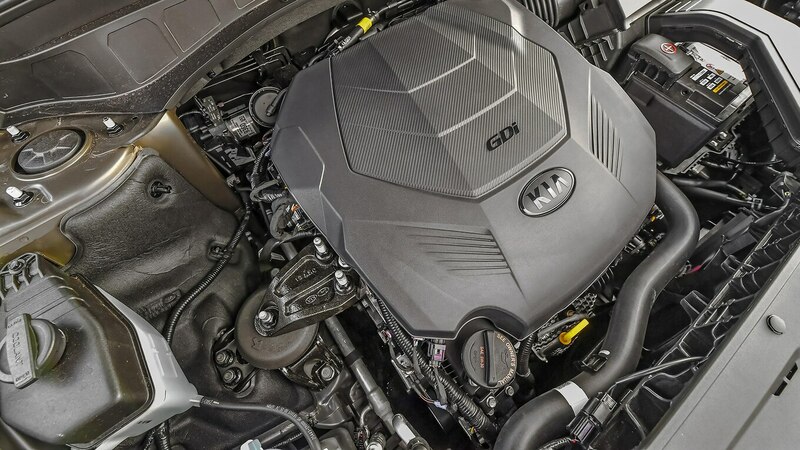 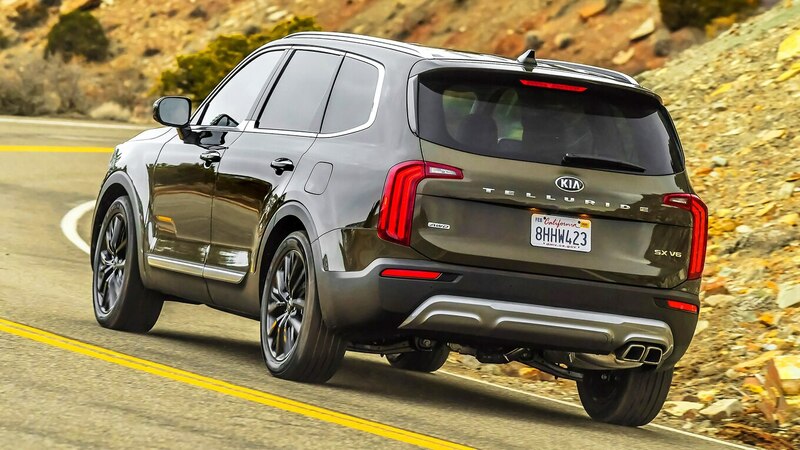 Kia’s largest crossover is estimated to weigh between 4,100 and 4,500 pounds (1,860 and 2,041 kg), and the sole powertrain available to lug around that weight is a 3.8-liter V-6 rated at 291 horsepower and 262 lb-ft of torque. 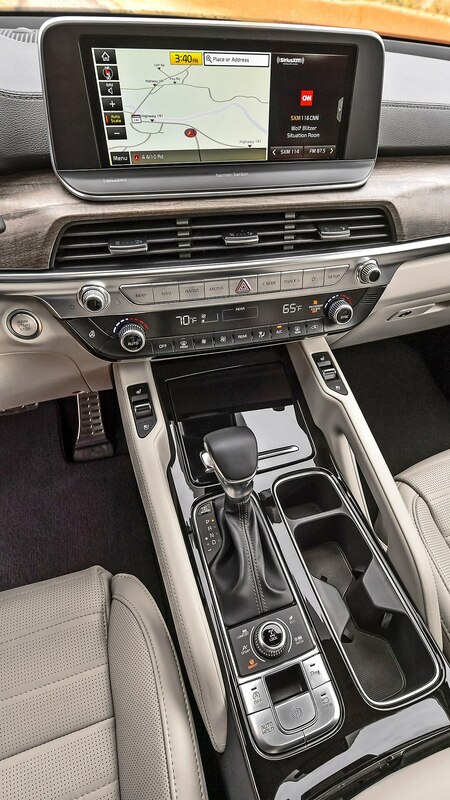 That’s mated to an eight-speed auto that sends power to the front wheels. 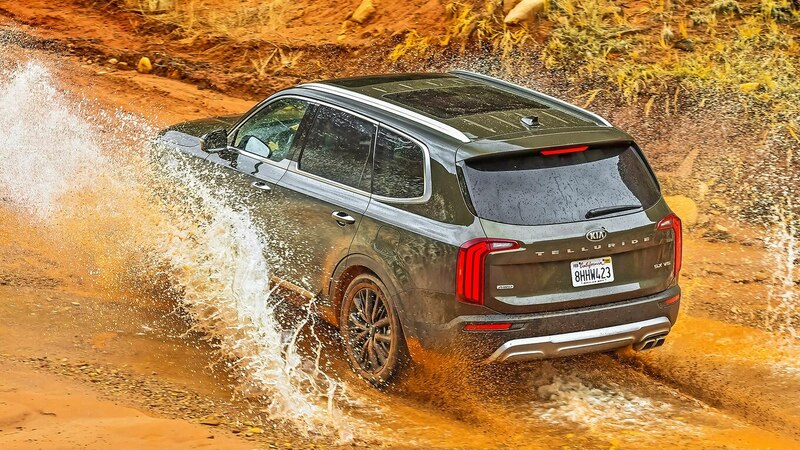 All-wheel drive is optional. 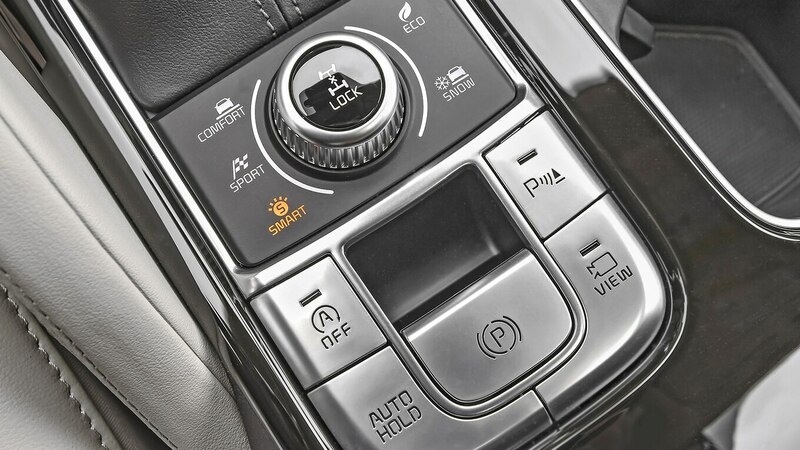 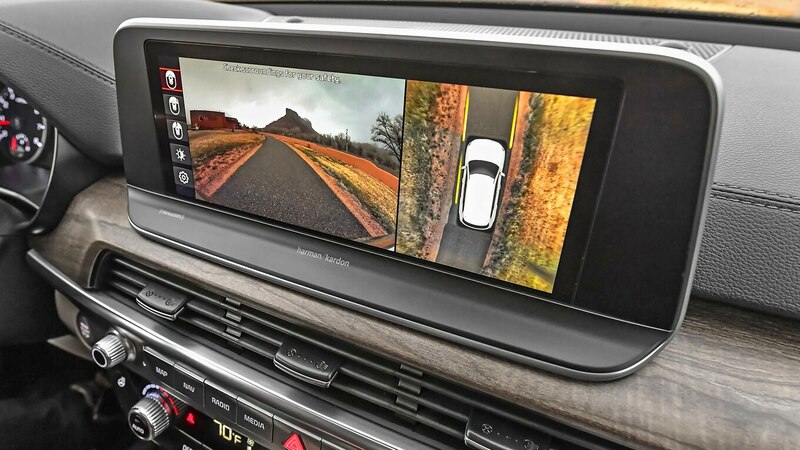 Four drive modes adjust powertrain and steering behavior (Smart, Eco, Comfort, and Sport); AWD models get additional Snow and AWD Lock modes, the latter of which evenly distributes power to all four wheels. 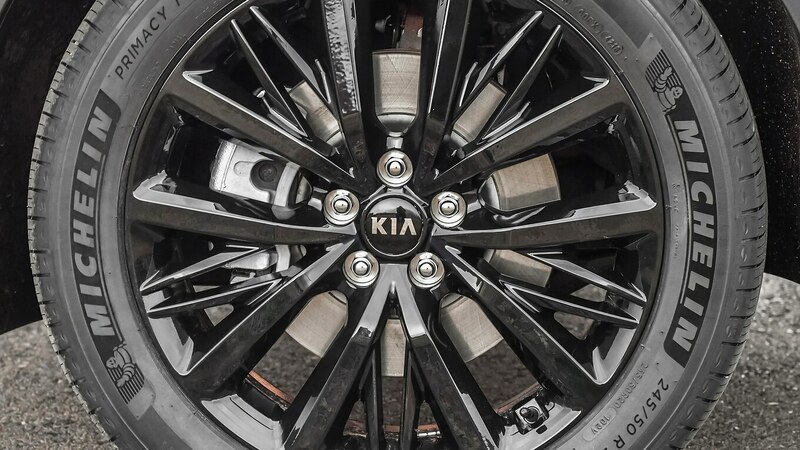 Smart and Eco drive the front wheels; Comfort and Snow mode send up to 20 percent of power to the rear wheels. 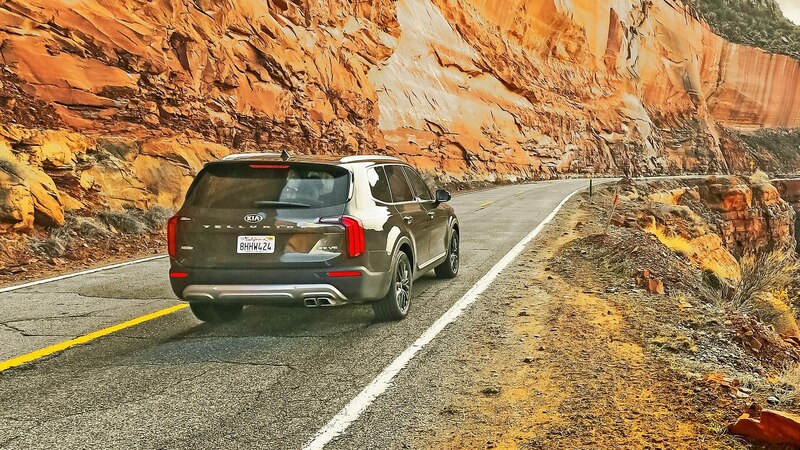 That number jumps to 35 percent in Sport mode. 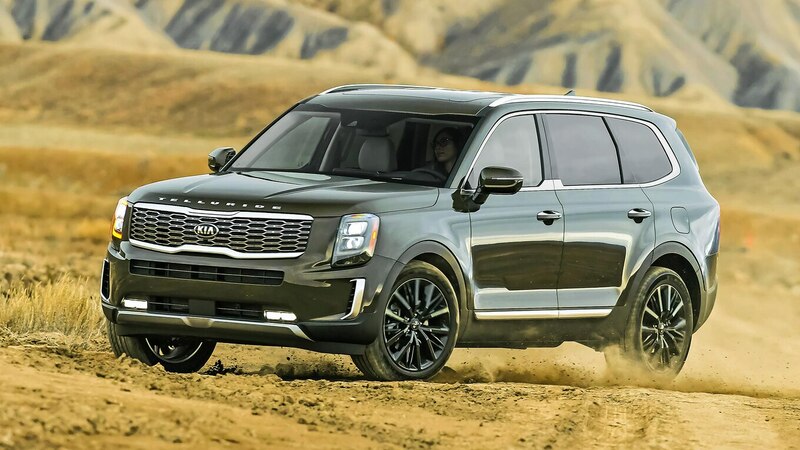 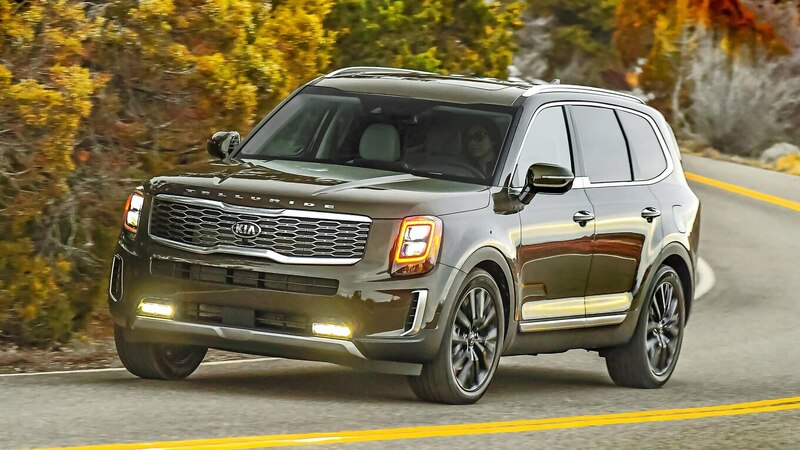 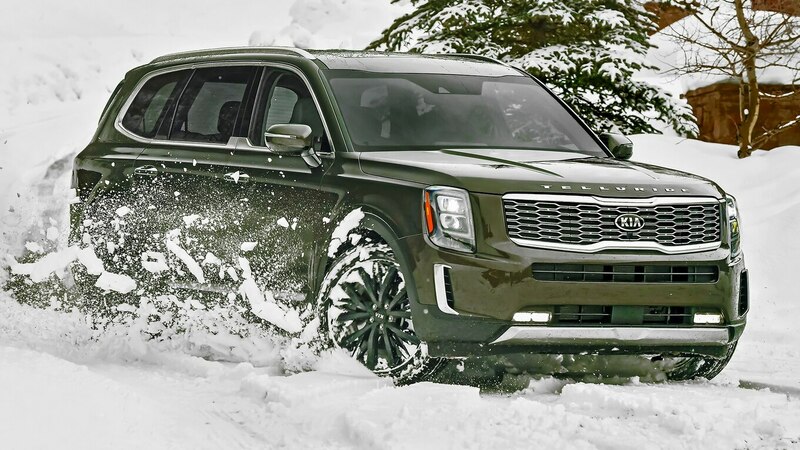 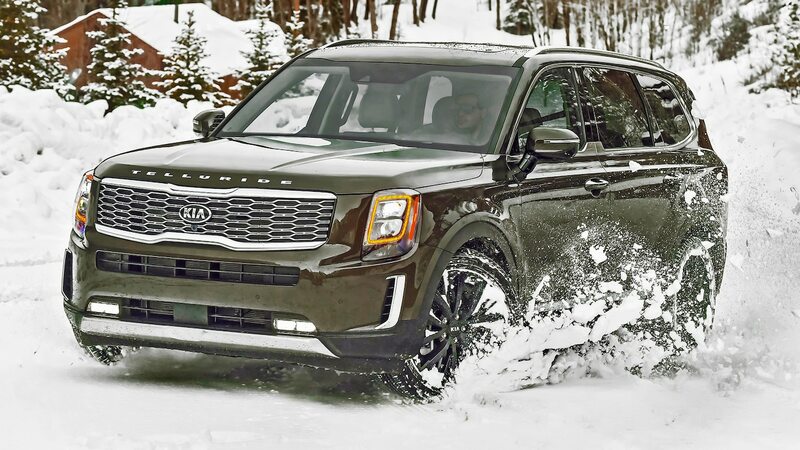 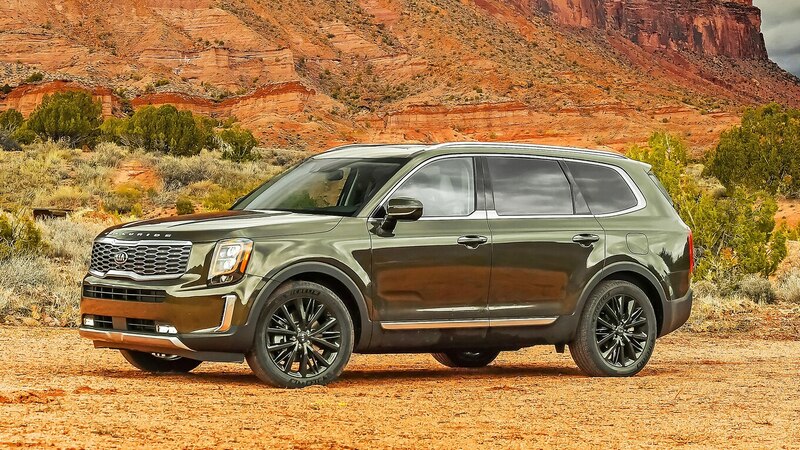 A rear air suspension setup is available to keep the Telluride’s ride height at optimal levels. 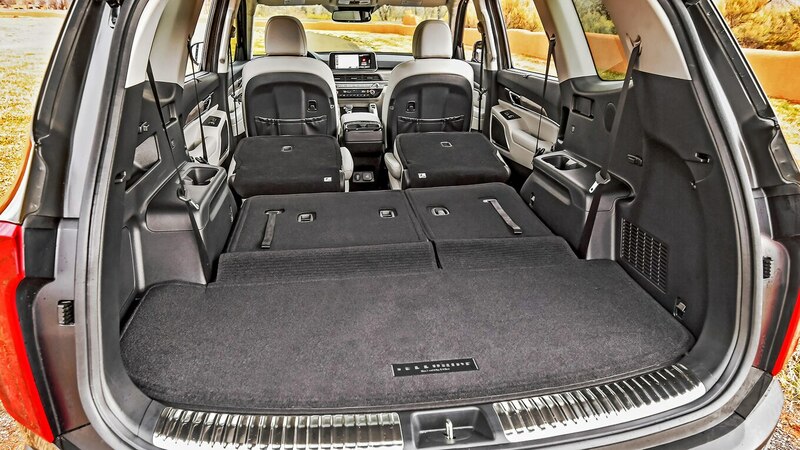 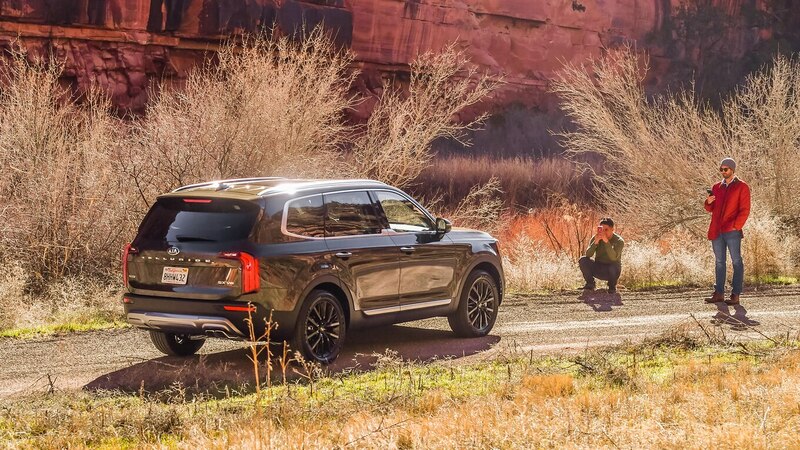 The as-tested price for our top-of-the line Telluride AWD (including the $2,000 USD Prestige Package) was $46,860 USD, which is about $2,200 USD less than a loaded Pilot Elite AWD. 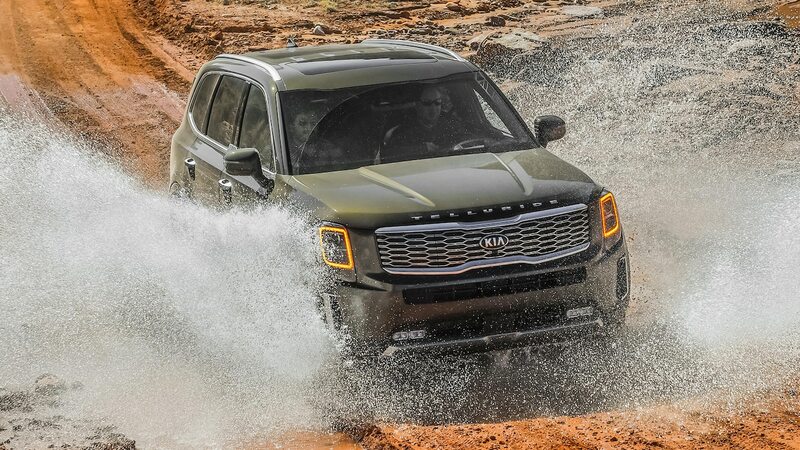 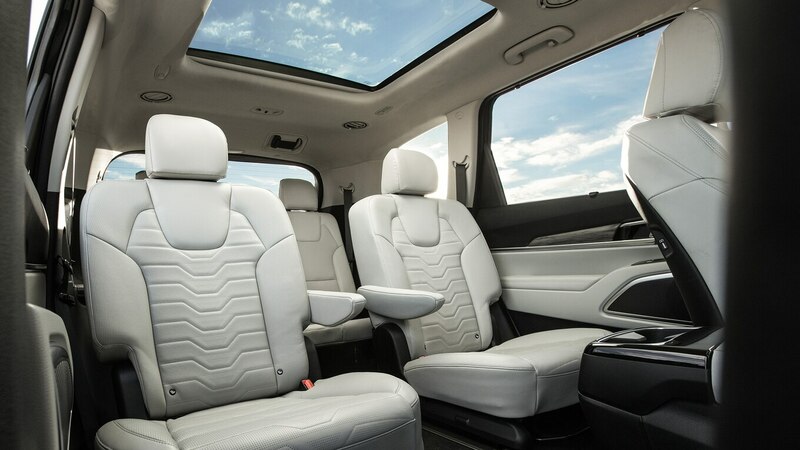 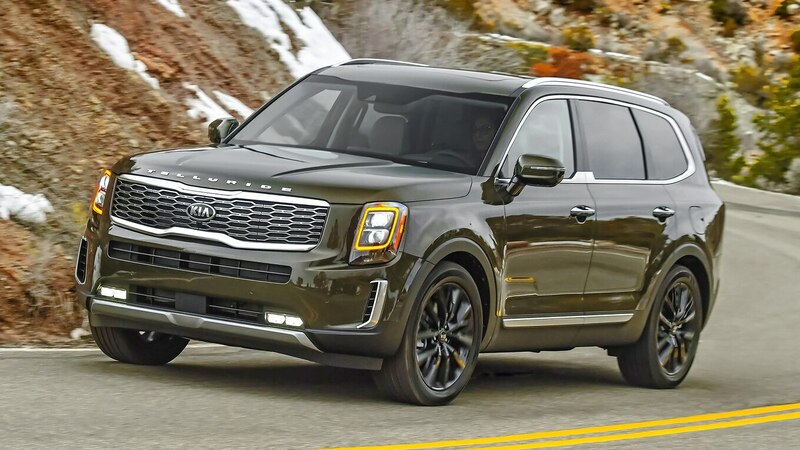 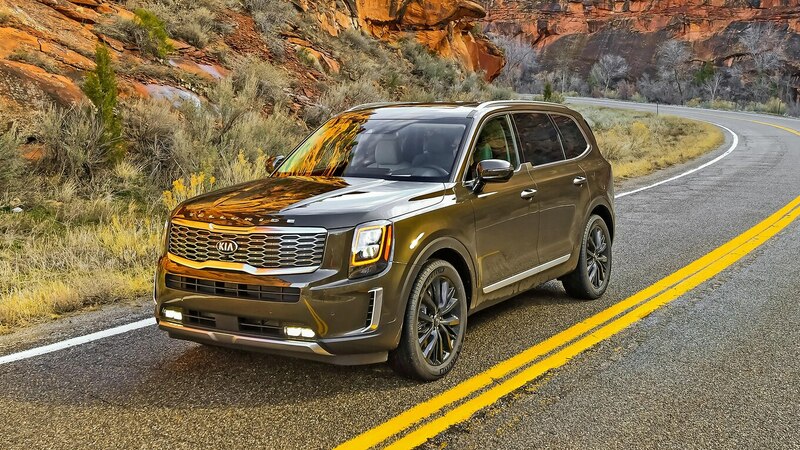 The base model Telluride LX starts at $32,735 USD and is competitive with Highlander ($32,425 USD) and Pilot ($32,495 USD), while the midlevel S and EX models start at $35,035 USD and $38,135 USD, respectively. 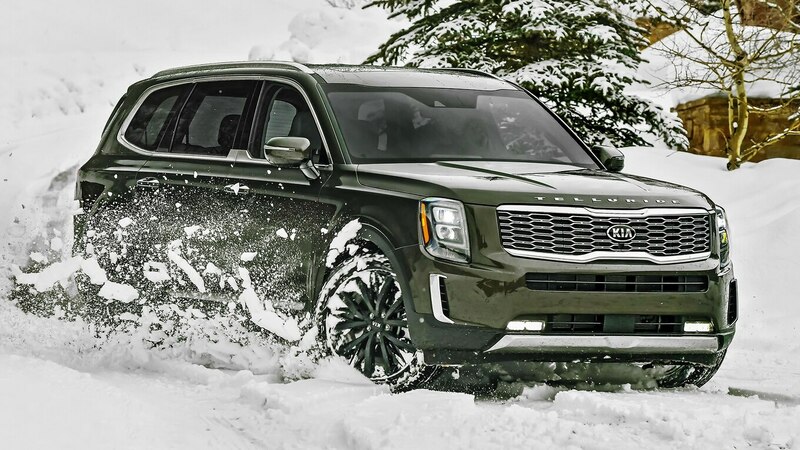 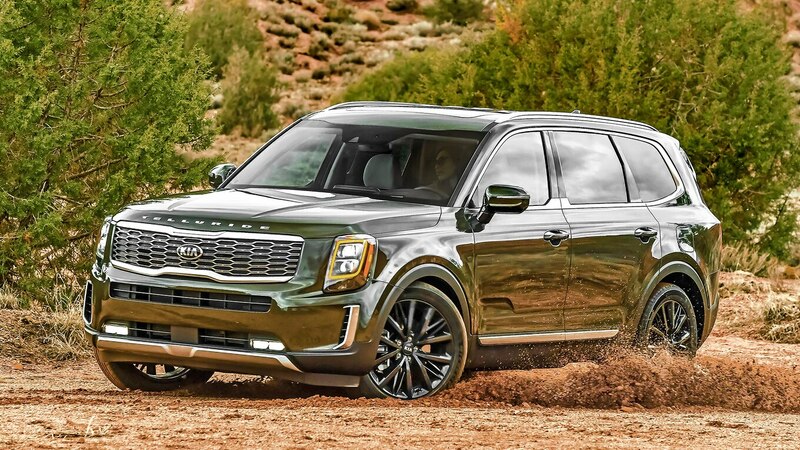 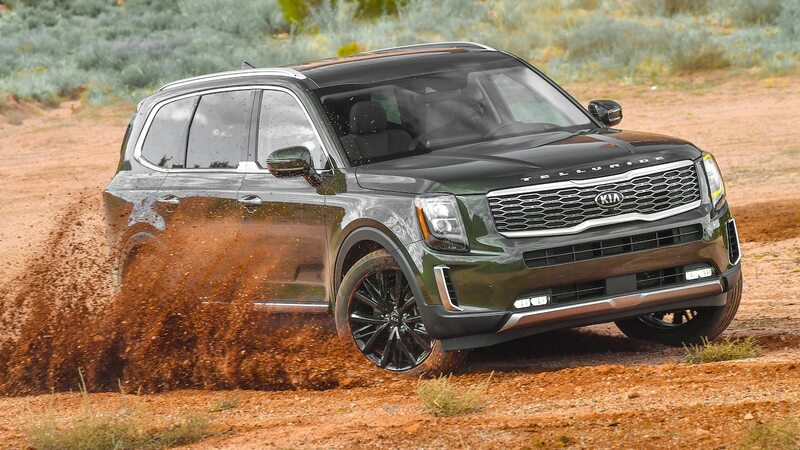 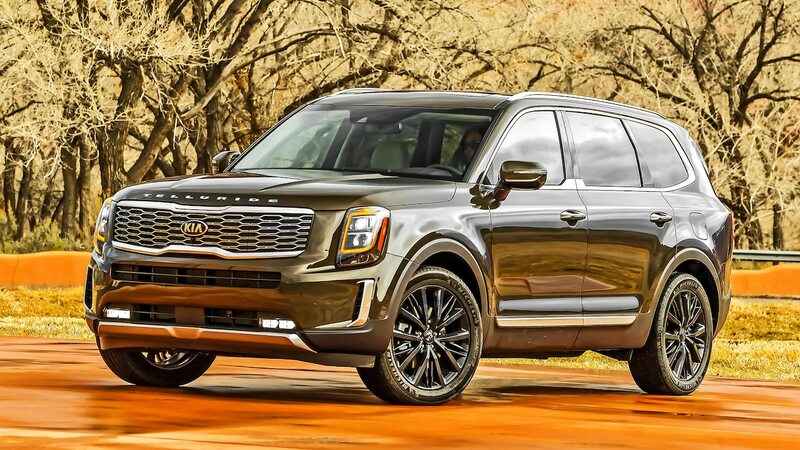 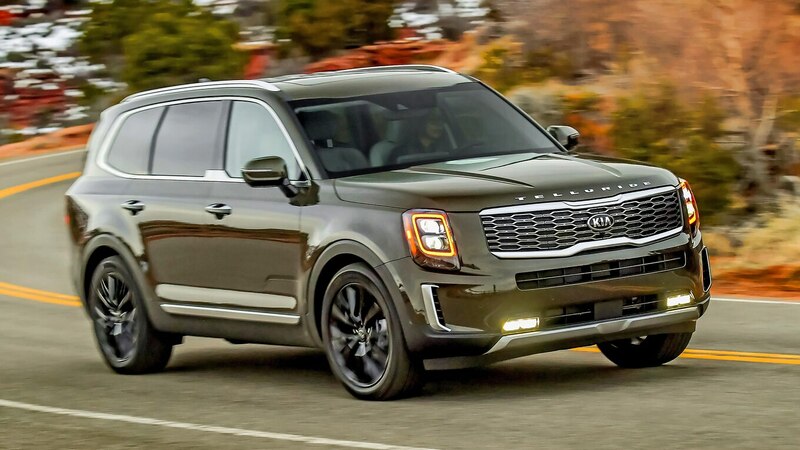 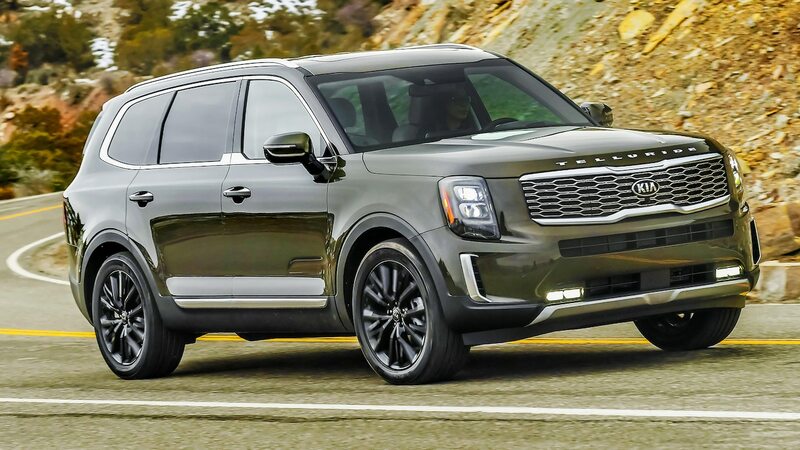 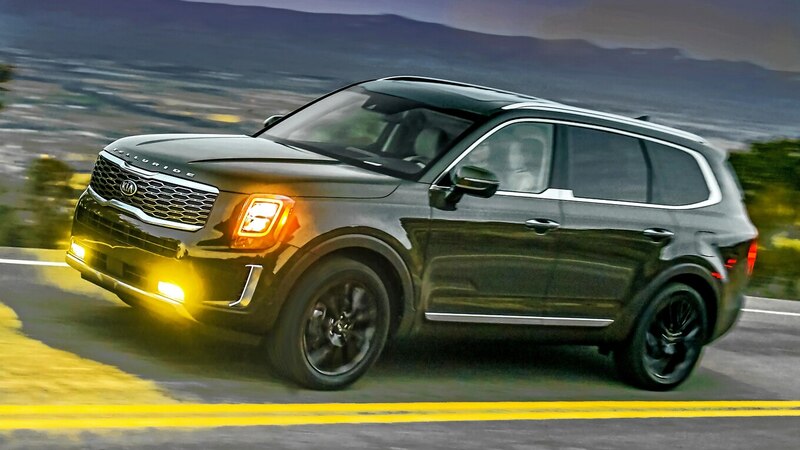 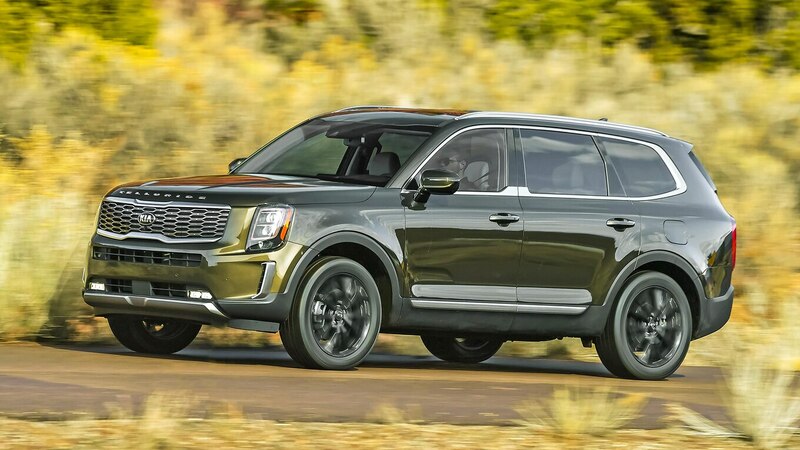 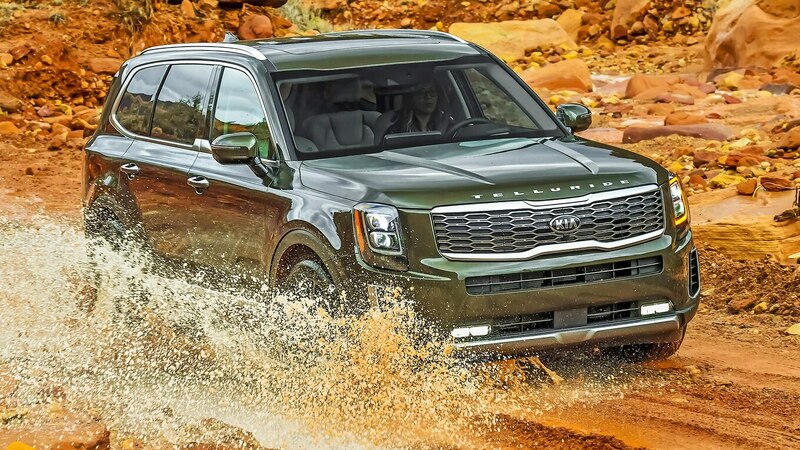 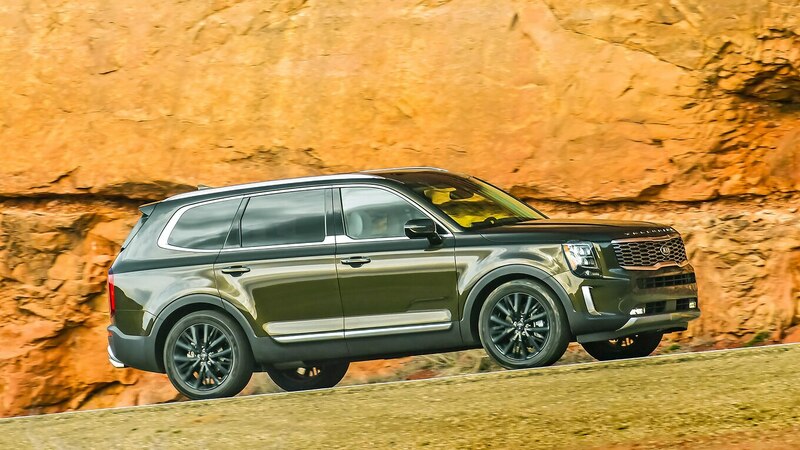 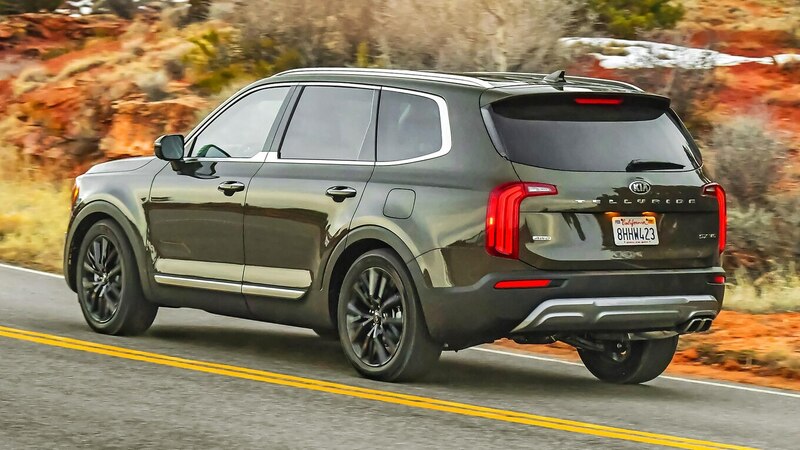 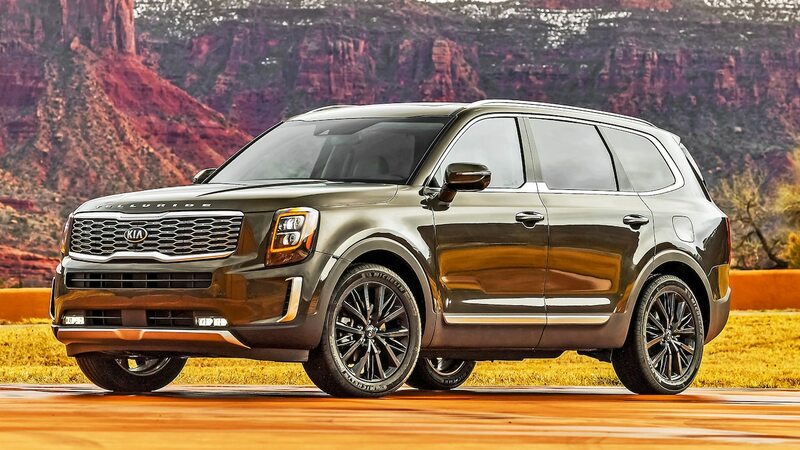 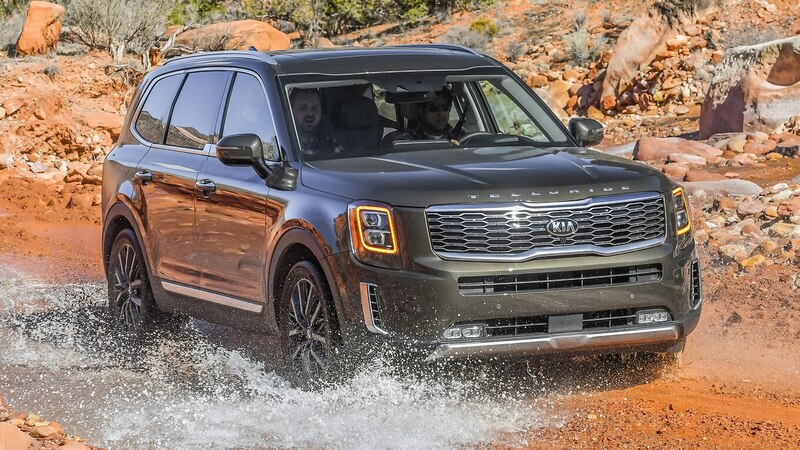 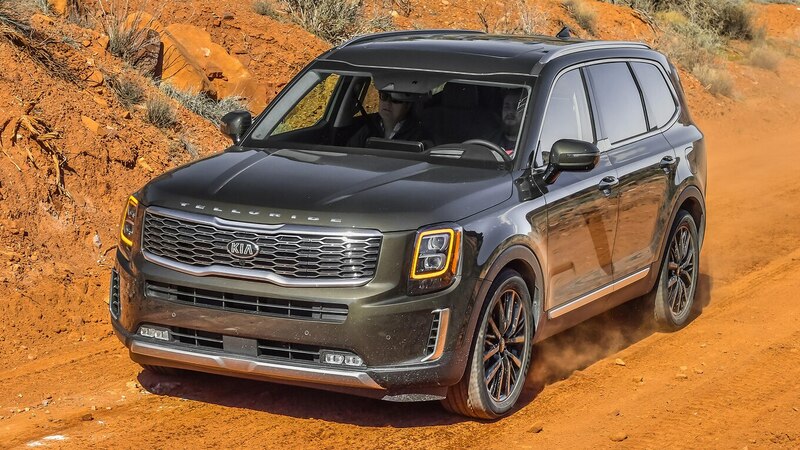 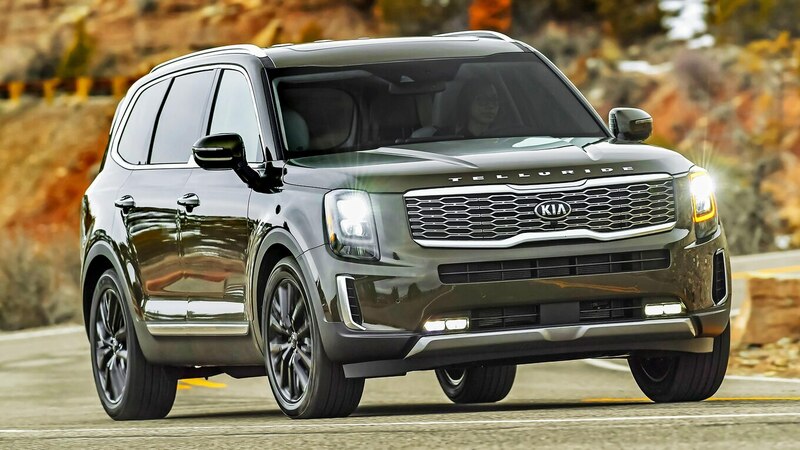 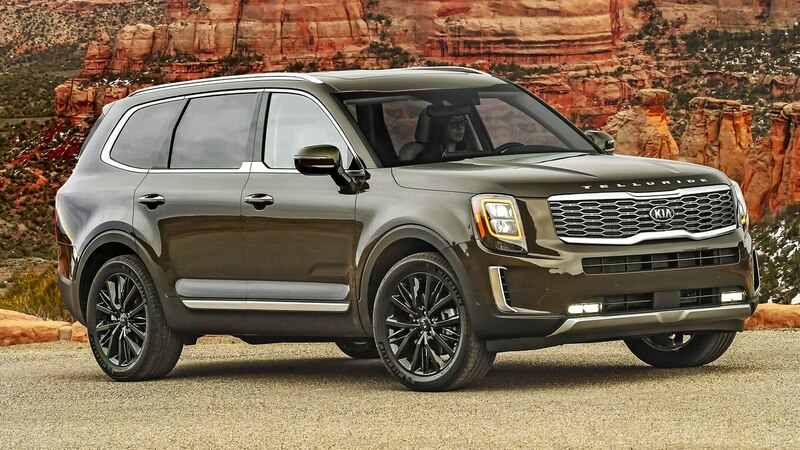 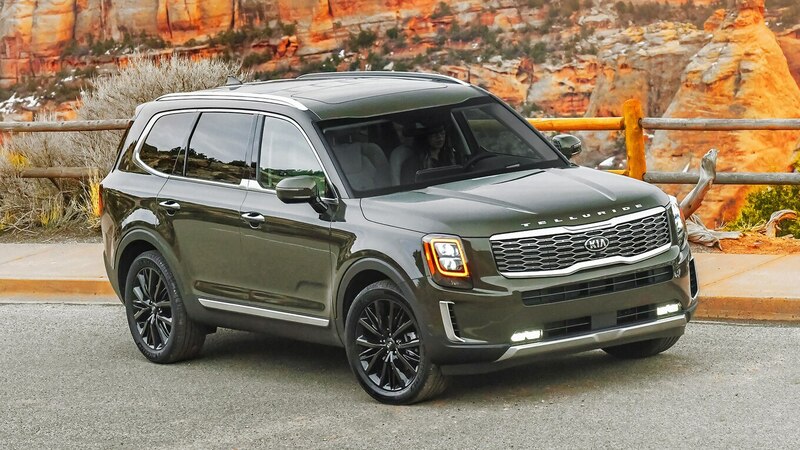 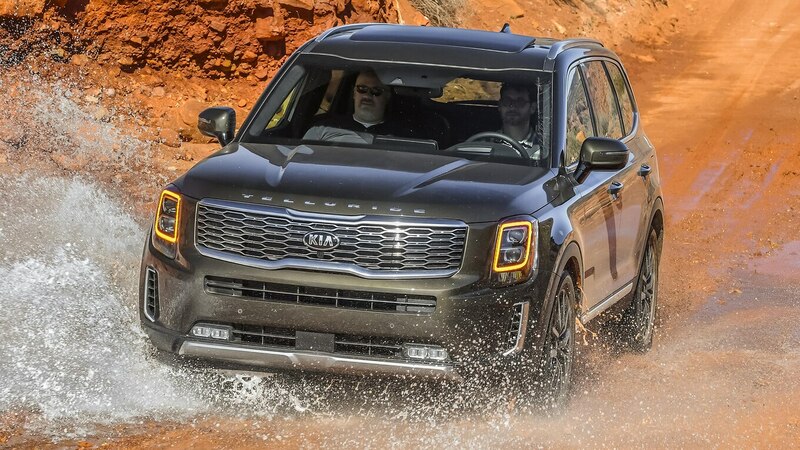 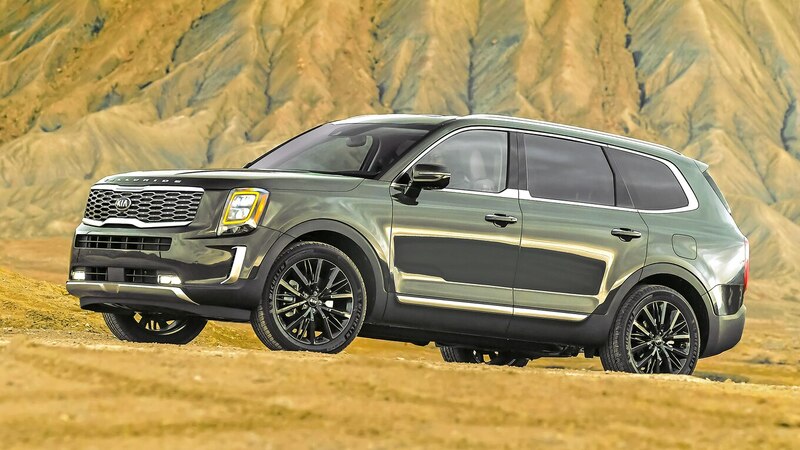 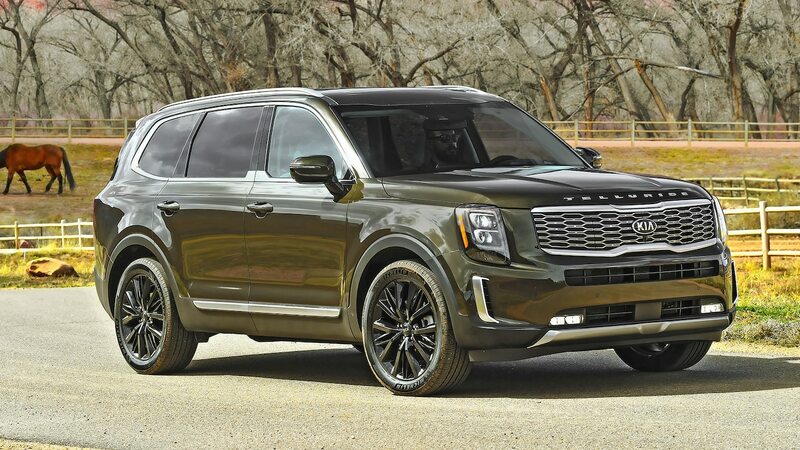 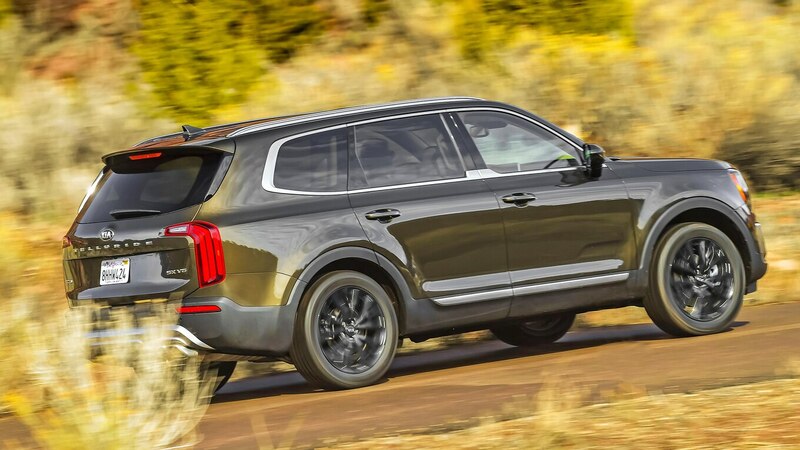 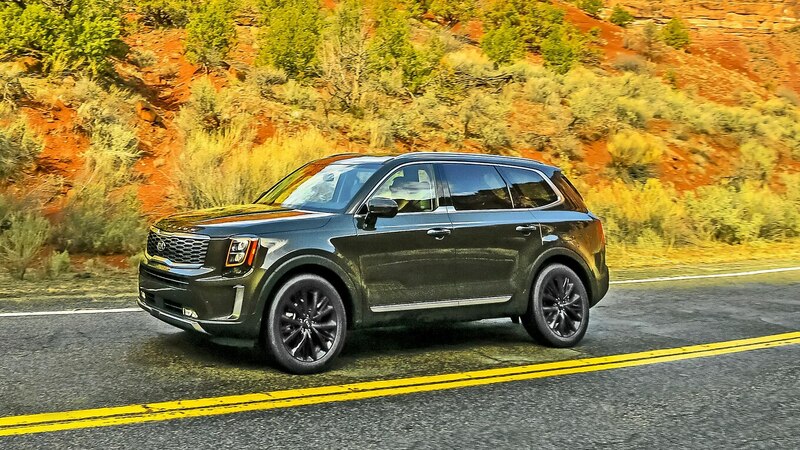 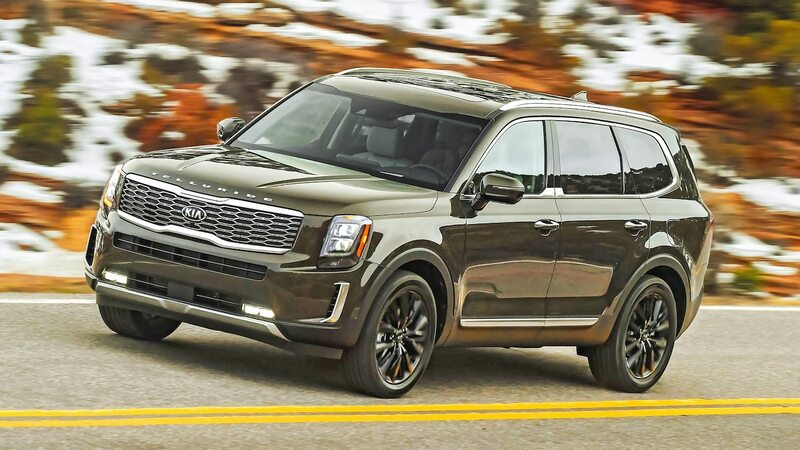 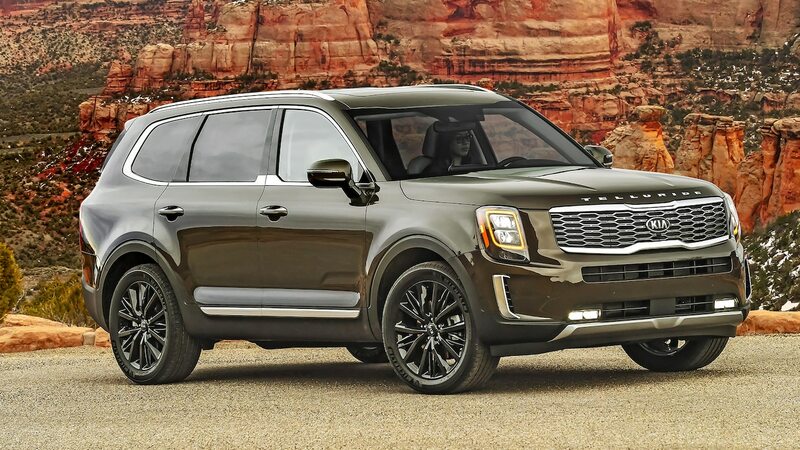 Kia predicts Telluride S and EX will make up 66 percent of total sales. 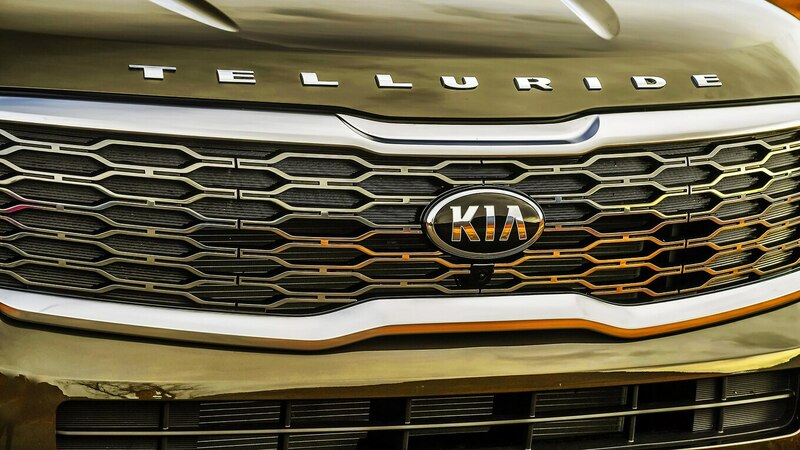 When it comes to efficiency, the EPA rates the FWD Telluride at 20/26 mpg (11.8/9 L/100 km) city/highway, 19/24 for AWD. 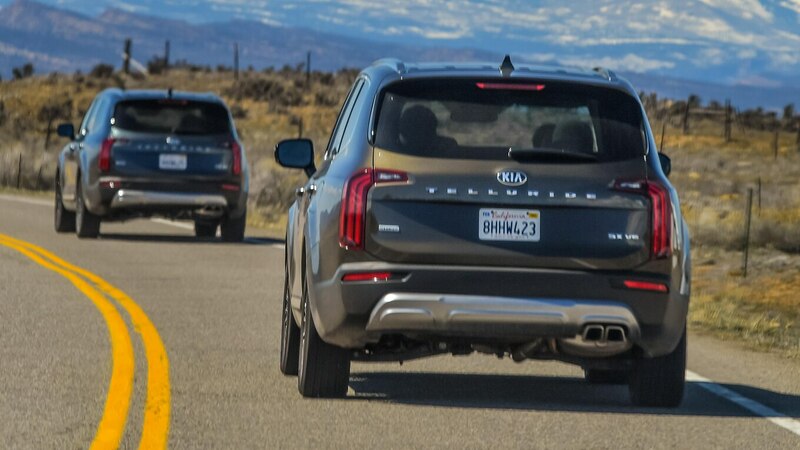 Those numbers are on par with Pilot and Highlander and slightly better than Atlas and the Chevrolet Traverse.